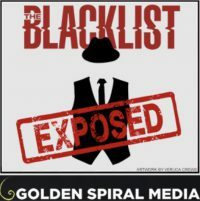 Tags: 0614, 10-33, 614, @NBCBlacklist, Allegheny Mountains, ambiguity (lexical), Aram, Aram hits Red, Aram punches Red, assassination attempt, assassins, Betsy (python), Blacklist, blue white dilated pupils, Boone, brain damage, breakfast in bed, Brimley, burn notice, business card (Levi’s), business card (tracking chip in), cabin in the woods, chess piece, chinchillas, CIA, Company (The), company man, Conformity doesn't interest me, contract hits, contract on Samar, corruption, couples massage, Dagan, dementia, dropped token, Elizabeth Keen, Episode 14, ethics, Glenforest Lodge, Global Systems Imports, Gougeres, Gruyere cheese puffs, Harris PA, hit on Samar, Hobbs, I can't take a hint, I was just doing my job, I will never forgive you for this!, Israel, James Spader, job (just doing my), just doing my job, Katarina's backstory, Keen, KGB, Langley, Lansky, Levi Shur, Levi’s business card, lexical ambiguity, lie detector test, Liz, Lizzie, Lizzy, Lodge at Glenforest, love, loyalty, lucky for you, Megan Boone, mercenaries, MI6, morality, Mossad, Mossad DC Station Chief Dagan, NBC, needle (poisoned), nerve agent, non-event, off the grid, Osterman Umbrella Co, outsourcing hits, pawn (chess piece), Pennsylvania (rural), photo Liz and Katarina, photo swing woman and girl, poisoning, polygraph, pupils dilated blue white, python, Rachael, Raymond, Red, Red hit by Aram, Red suffocates Levi, Red's secret flat, Red’s moral code, Reddington, ring with poison needle, role playing, rural PA, S06E14, S6E14, Samar, Samar (contract on), Samar exits show, Samar has new papers different place to go, Samar leaves Aram, Samar targeted, Saram, script, Season 6, secret flat, secrets, Shur, SID, Singapore, snow shoes, snowmobiling, spa, Spader, state sanctioned hit, strangulation, suffocation, Sutton's Cabin, Tel Aviv Israel, The Blacklist, The Company, The Osterman Umbrella Company, This is a non-event, token dropped, tokens, tracking chip, tracking chip in business card, true love, Umbrella Company, umbrellas, vascular dementia, Who's gonna take care of you if I'm not there? Tags: 0323, 2016, 3.23, 323, 3X23, 501(c)4, @NBCBlacklist, abduct, abduction, Abel Santamaria Airport, Agnes, Alexander Kirk, Alexander Kirk 2, Alexander Kirk Conclusion, assassination plot, babies switched, Blacklist, Bokenkamp, Boone, bow tie, campaign finance, candidate, cheese dog, Cilizens United, Conclusion, Constantin, Constantine, corporation, corruption, crime, cronyism, Cuba, death faked, Diaz, dig the bow tie, donuts, drama, election, Elizabeth Keen, Episode 23, evidence planting, faked death, FBI, Finale, golf, hot dog, I dig the bow tie, James Spader, Jon, Kaplan, Kaplan⁉️, Kate, Kate Kaplan, Keen, kidnap, kidnapping, Kirk 2, Kirk Conclusion, Kirk Part 2, Kirk Pt 2, Kirk2, Liz, Liz death faked, Liz is alive, Lizzie, Lizzy, Masha, Masha I'm your father, Megan Boone, money in politics, Most Wanted, Mr Kaplan, multi-national, mystery, NBC, oil, oil and gas oligarch, oil terrorists', oligarch, oligarchy, PAC, Part 2, planting evidence, plutocracy, powder sugar donuts, preacher for truckers, President, Presidential, presidential election, Raymond, Red, Reddington, Reuben dog, Robert Diaz, Rostov, Rostova, Russia, S03E23, S3E23, script, Season 3, Season Finale, sharp shooter, Simon says, sniper, Spader, Super PAC, SuperPa, terrorist oil, The Blacklist, Tom, transcript, truck preacher, TV, We did it. We’re free, What are we gonna do with you Kate? Blurb: Red, Liz and Ressler travel to Uzbekistan, where the CIA has spies masquerading as clergy and is covering up the crimes of a U.S.-based oil company. The man Liz hired to guard Tom is questioned by a detective.